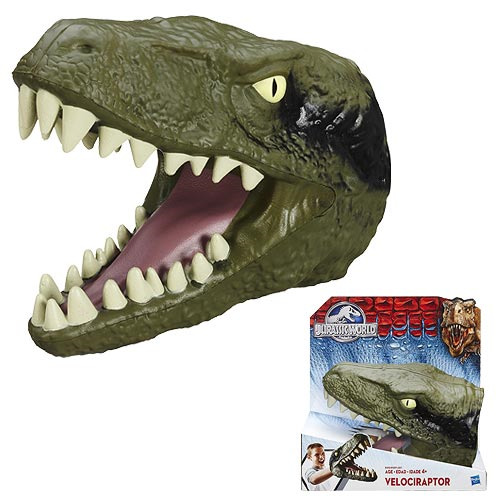 Take a bite out of your toys with the Jurassic World Chomping Velociraptor Dinosaur Head! This awesome noggin lets kids and fans chomp on their favorite things - they're tons of fun! Add some om nom nom to your toy box with this authentic collectible dinosaur toy. Measures 9-inches long, mouth opens 5-inches wide. Ages 4 and up.